The nation’s most loved culinary duo, Si King and Dave Myers (a.k.a. The Hairy Bikers), will be dropping anchor at this year’s TheYachtMarket.com Southampton Boat Show as part of a unique mouth-watering experience on offer exclusively for the 10 day event (14-23 September 2018). Bringing together their love of good food, wealth of knowledge of classic recipes and Britain’s finest seafood, Si and Dave will curate the menu for the Show’s premium waterfront restaurant, the Mariner’s Grill. It will incorporate a new Champagne & Seafood Terrace with a front-of-house, theatre-style area, where the restaurant’s fresh seafood dishes will be expertly prepared. 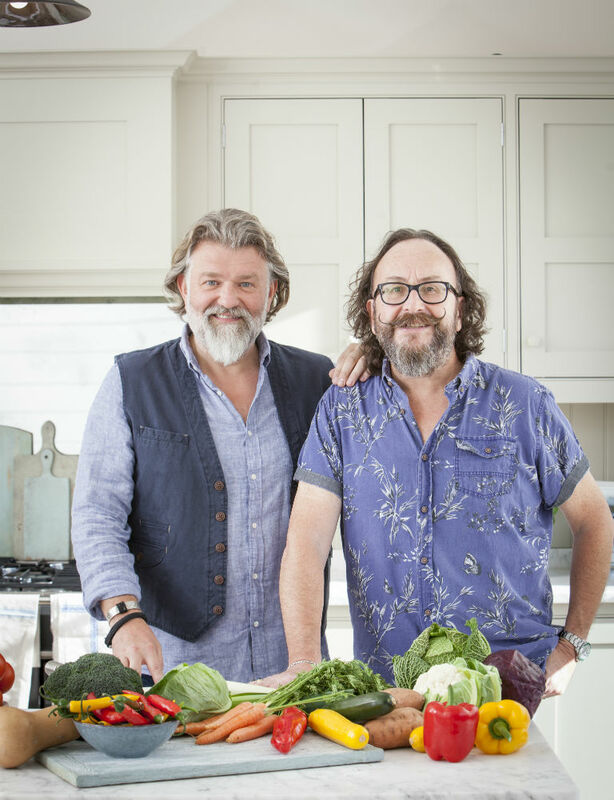 The à la carte, three course menu will deliver a taste of the sea alongside grill favourites, all with The Hairy Bikers classic take on bold flavours and cooking style. Plus with the Show’s pledge to support marine conservation, all seafood will be responsibly sourced, with a rating of 3 or above according to the Marine Conservation Society’s Good Fish Guide, and served alongside the finest local produce. Visitors will be able to see the duo at the event on Saturday 22 September 2018 where they will also give an exciting cooking demonstration of one of their exclusive dishes. Those lucky enough to dine at the restaurant throughout the 10 days will be able to enjoy impressive views from their table with over 330 stunning yachts of all shapes and sizes moored alongside Europe’s largest purpose built-marina. Celebrating its 50th anniversary, TheYachtMarket.com Southampton Boat Show is Britain’s biggest boating festival showcasing the lifestyle, fun and excitement that being on the water has to offer. Next articleAfter touching down in the UK the Love Islanders tuck into itsu!